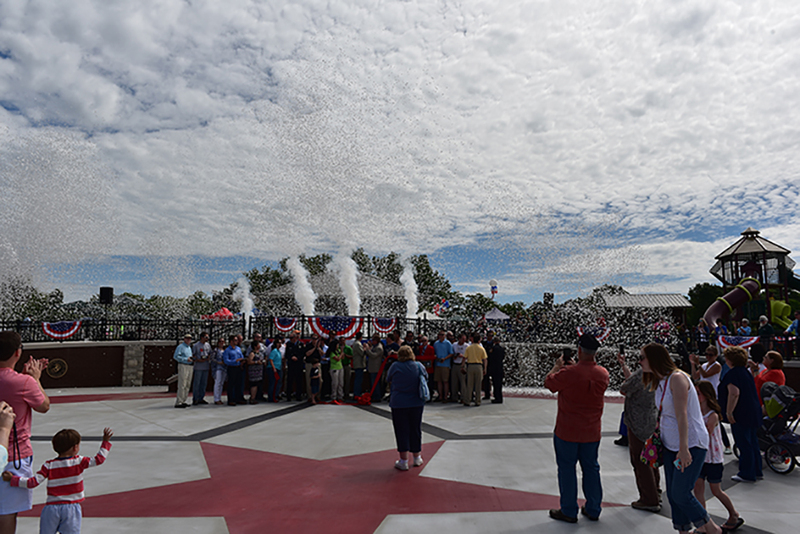 The City of Spring Hill on Sat., May 23, cut the ribbon on the 30-acre Port Royal Park and neighboring new Fire Station No. 2, along with hundreds of residents, at a beautiful Memorial Day Celebration ceremony, where the splash pad was turned on. Port Royal Park, at 4285 Port Royal Road, includes a splash pad, an ADA-compliant playground with artificial padded turf, a Veterans Memorial Plaza, a concessions/restrooms building, three football fields, basketball and tennis courts, a 3,000-foot walking/multi-use path, amphitheater seating, three picnic pavilions, and plenty of sidewalks, benches, and umbrella-shaded picnic tables throughout.